The Department of Civil Aviation (RAKDCA), Ras Al Khaimah, will take innovation initiatives forward by involving all staff for embracing innovation in their daily working so that they can contribute to the development of the aviation industry and innovation particularly in Ras Al Khaimah and the whole of the UAE in general, said Engr. His Excellency Shaikh Salem bin Sultan Al Qasimi, Chairman of the Department of Civil Aviation, Ras Al Khaimah. 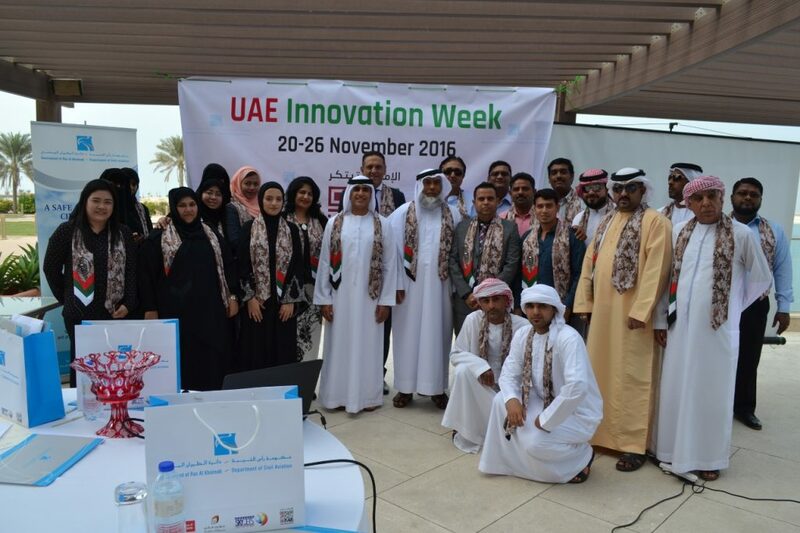 RAKDCA has marked the UAE Innovation Week by holding a brainstorming session, titled Think Tank on Innovative Initiative (Ta’aheel), involving select staff from various departments at Marjan Island Resort & Spa on Monday, November 21, 2016. “How we can be different… that’s innovation,” he said. During the brainstorming session, the staff were categorised in five groups to come out with innovative suggestions on the theme “New Innovative Ways to make DCA provide value to Society”. The session came out with suggestions that RAKDCA should use the social media more effectively to connect with people, use blogging as a value creator, especially on safety and security with the theme ‘Protect Yourselves and Society’. The consensus was to use social media, such as Facebook and Instagram, to mount an awareness campaign about the dangers of using drones near airports. In order to connect with people as well as to accomplish its social responsibility, the staff suggested that RAKDCA should recognise people doing charitable work, so that the value of RAKDCA improved. RAKDCA’s avowed motto is to achieve excellence by enhancing aviation security, safety and services and maintain their sustainability. Such sustainability can be maintained only by innovation, he said. “Innovation is not a one-day exercise. It’s a culture. It’s how we can see differently, think creatively, think in an innovative way in all our way of life, conducting business and delivering the service. All have to be a different component aimed at developing the industry as a whole. Today we have challenges with drones. How we can address this issue, how we can come up with a creative and cost-effective and efficient way to prevent catastrophes and disasters from them will define innovation,” he said. Chairman of the Department of Civil Aviation, Ras Al Khaimah, Engr. 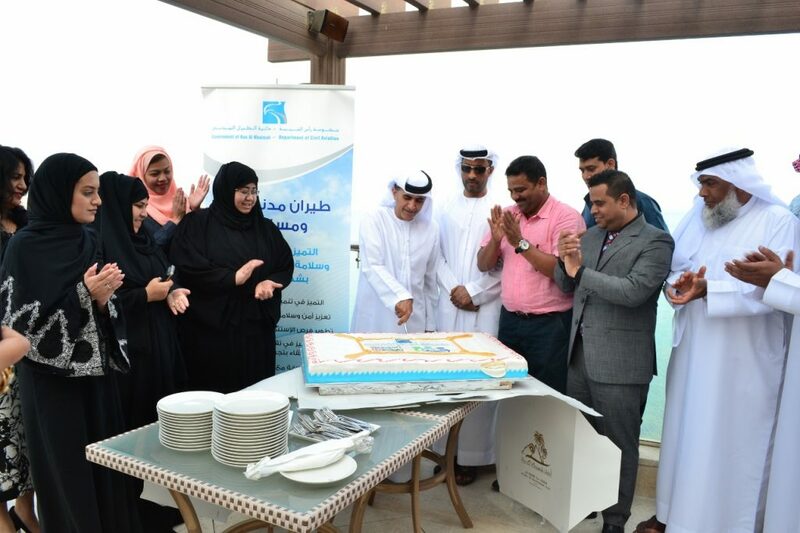 His Excellency Shaikh Salem bin Sultan Al Qasimi, at the cake cutting ceremony at Marjan Island Resort & Spa, Ras Al Khaimah, to mark the beginning of the Innovation Week celebrations. Chairman of the Department of Civil Aviation, Ras Al Khaimah, Engr. His Excellency Shaikh Salem bin Sultan Al Qasimi, with members of staff after a brainstorming session on innovation at Marjan Island Resort & Spa, Ras Al Khaimah, to mark the beginning of the Innovation Week celebrations.